EPHRAIM—A frustrated city council passed a resolution dissuading residents from using fireworks this year, instead of banning them altogether. Citing a new state law that “prohibits cities from adopting a city-wide ban on fireworks,” the Ephraim mayor and council decided to comply with H.B. 38, which was passed by the 2018 Utah Legislature. And instead of banning fireworks outright, the council is strongly recommending that residents abstain from discharging any ignition sources during this record breaking dry spell. During the discussion of the resolution, Ephraim Fire Chief Kerry Steck gave an update on the conditions around the city. “Too many weeds, way too dry,” was his assessment. Steck said he would be keeping extra patrols around the city to check on conditions during the holiday. He will also keep his pumpers full at all times. Council members discussed whether there was any way to utilize the new law’s prohibitions at all. The law stated a city may restrict fireworks to a designated area or areas. However, the city would have to provide a map for the city’s residents, and that map would have had to be submitted to the state in May. In Utah this year, mandated dates and hours for legal firework usage are July 2-5 and July 22-25 from the hours of 11 a.m. and 11 p.m. The council also heard an update from Layne Jensen with Franson Engineers regarding bids they had solicited for drilling the new test well for the city’s culinary water. Jensen first told the council that Franson Engineers had received only two bids, after soliciting every licensed driller in the entire state. Jensen said this indicated how this year’s weather had impacted the market. The bids were also significantly higher than other recent bids. First, drill a small test well. Second, drill a larger test well, and convert it to a larger permanent well. And third, drill a full-size well from the beginning. The council approved the lowest bid at $107,500, to use the second method. Matt McCullough (left), director of Utah Department of Health’s Office of Primary Care and Rural Health, awards Aaron Wood, Sanpete Valley Hospital CEO, the Innovation Award for Rural Health. MT. 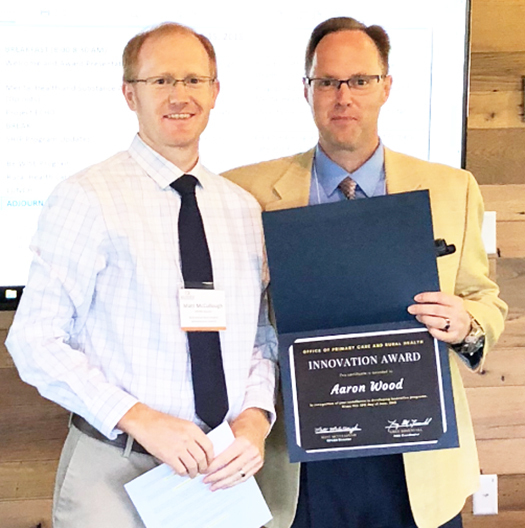 PLEASANT—Aaron Wood, CEO of Sanpete Valley Hospital, was recently given the Innovation Award from the Utah Department of Health’s Office of Primary Care and Rural Health. Seven years ago, the Office of Primary Care and Rural Health began holding the Rural Hospital Administrators Summit, and this year was the first year of presenting the Innovation Award. The Innovation Award nominees come from the Utah Hospital Association and other partners, including Primary Care and Rural Health staff, who manage the FLEX grant program for critical access hospitals. Some of the highlights are the addition of a hospitalist service, a staffing model for the Emergency Department and the formation of the Sanpete Behavioral Health Community Network. In addition, Sanpete Valley Hospital now has a state-of-the-art computed tomography (CT) scanner. Wood also has led continuous improvement efforts at the hospital, resulting in shorter stays in the Emergency Department. WALES– Grand marshals of this year’s Mammoth Parade are John and Wendy Taylor, who moved to Wales in 2005 from West Jordan. They brought with them Wendy’s parents Parley and Gertrude, who they cared for over the next six years until they passed away. The two met at a restaurant, where Wendy was seated for dinner. When John, who worked for the National Guard, entered the restaurant dressed in his fatigues, Wendy called out to him, “Hey G.I. Joe, come sit with me.” And he did. The two have been together ever since. After spending a few years servicing mobile homes, John had joined the National Guard. In 1965 he was recruited by the Guard to work for them fulltime, which he did for 38 years. After moving to Wales he commuted to the Draper Guard headquarters for two years before he retired. The couple had visited Wales several times since Wendy’s nephew Jeff, owner of Bar T Rodeo, lived there. After Jeff’s father Ron (to whom Wendy is very close) moved here to be close to his son, the two made the decision to relocate here along with Wendy’s parents. Over the years they have been involved in the community and both have served on the town’s planning and zoning committee. It is a second marriage for both. Between them they have five children, 13 grandchildren and five great-grandchildren. All of their family loves to come and visit and enjoy the canyons, especially Palisades where they now hold their yearly family reunions. GUNNISON—Like many Sanpete County natives, Marshall Sorenson, this year’s Fourth of July parade grand marshal, left the valley for work when he grew to adulthood, but he always hoped he’d come back home. Born and raised in Axtell, Sorenson attended school in Gunnison before he left to serve an LDS mission in the Cumorah Mission in New York State. After he returned from New York he moved to Sandy and drove truck for 13 years. He went on to work in the grocery business. Even though he lived in the Salt Lake Valley he never lost his desire to return home. So he kept in touch with folks in Gunnison and when a job opened up at Gunnison Market he was one of the first to apply. They hired him and for 35 years he was the produce manager at the store before retiring in 2014. Before his father Elwood Sorenson passed away he also helped him on the family farm. In 1993 Sorenson married Ruth Rosenvall (who he knew of but did not know personally when he was growing up). They combined their families; his: Melodee, Matthew and Marcus, and hers: Emily, Nicole, Nick and Mike. Together they have 20 grandchildren. Matthew and his wife Carilee and their four children live nearby in Axtell. The other children are scattered throughout Utah, with some in California. They hope to visit soon as their health allows. Since returning to Gunnison, Sorenson has been actively involved in the community. He served on the Gunnison Planning and Zoning Commission for five years and has been a member of the Lions Club for 15 years. In the LDS Church, he has served in a bishopric, in a branch presidency and as elders’ quorum president. He was also an ordinance worker in the Manti Temple for three years. It’s an honor to be able to give something back from someone to whom so much has been given,” he said of being chosen as the grand marshal. He loves Gunnison’s Fourth of July celebration and the opportunity to remember our nation’s beginnings with loved ones. Sorenson is one of those helpers. The Lions Club sponsors lunch at town days and this year, as always, he will be in the thick of things. Sorenson’s wife Ruth will ride with him in the parade. MANTI—After 41 years of military service Alan Braithwaite knows a thing or two about patriotism. He first joined the National Guard (like many of his peers) for the money, but over the years it became something much greater to him. “After 11 years of enlisted service, I thought that our country is worth serving and worth saving, so I became an officer,” he said. Alan was a Guardsman for 25 years before he switched to the Army Reserves, where he served for 16 years. In his last five years in the Reserves he served in a two-year rotation backing up regular Army officers when they were sick or otherwise unable to perform their duties. “That was a pretty neat experience,” he said. In 2006 he served in Seoul as chief of munitions under U.S. Forces Korea as chief of munitions, where he was responsible for all ordinance except for missiles. He was also the chief U.S. negotiator working with South Korea on the demill of ammunition from Vietnam. While serving in that capacity, Gen. James Rogers asked him to go to work with him as chief of staff at Joint Munitions Command at Rock Island Arsenal, Ill. He held that position for seven months. Later, in 2009 Alan was deployed to Iraq for a year where he served as chief for plans and operations for LOGCAP (Logistics Civil Augmentation Program) Forward. In that capacity he oversaw contractors who provided everything the troops needed from housing to the most basic of supplies, he said. He was also responsible for training officers in logistics. Alan retired from the Army Reserves as a full colonel. He attended several army schools during his military career including the Army War College in Carlisle, Penn. He was honored with the Bronze Star Medal and Meritorious Service Medal for his work in Iraq and received the Joint Service Commendation Medal while in Korea. He received many other awards throughout his military career. “I got to do so many things I’d never get to do in civilian life,” he said. Both Alan and Cecelia grew up in Manti and have lived their whole lives here except for four years after high school when they lived in Salt Lake City. Both have great-grandparents who came across the Plains with the early Latter-day Saints. The two met at Manti High School and became high school sweethearts after Alan took Cecelia to his junior prom. 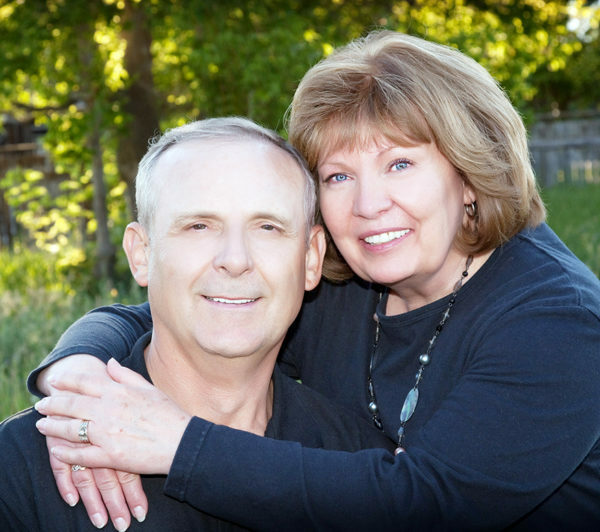 After graduation, Alan attended Utah Technical College where he studied auto mechanics. The couple spent several years in Salt Lake City before returning to Manti. During their time in Salt Lake, Cecelia worked as a dental assistant and later at Sperry, where she soldered components. After she returned to Manti, she again took up dental assistance in the medical program at the Central Utah Correctional Facility in Gunnison. She went on to spend 13 years as a teller at the Bank of Ephraim. She has been very active in her LDS ward, serving in Young Women’s, Primary and Relief Society. 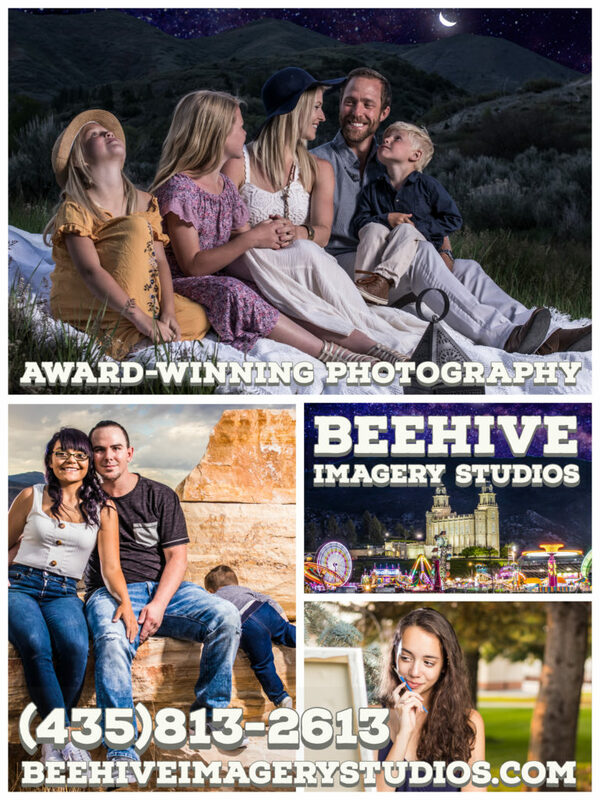 Like many Manti residents, the Braithwaites have been very involved with the Manti Miracle Pageant over the years and have done everything from appearing in the Pageant to moving scenery and providing security. In addition to his military service , Alan worked for several years with his brother in Owens Sports Center repairing ATVs and four-wheelers. He has served in various positions in the LDS Church including as ward clerk. He currently serves as secretary of his ward’s elders’ quorum. He and Cecelia also serve in the temple as baptistery directors and ordinance workers. The couple has five children: Brett, Curt (Monica), Dave (Amy), Tom (Mandi) and Valerie (Brian). Curt served an initial six-year tour in the Guard. They have 17 grandchildren—11 boys and six girls. As a member of the Freedom First Society, Alan has a particular passion for the U.S. Constitution. The Fourth of July celebration is a great way to honor the legacy of those who produced that document, he said. MT. PLEASANT—Mark and Sue Johansen have 14 grandchildren with another on the way. 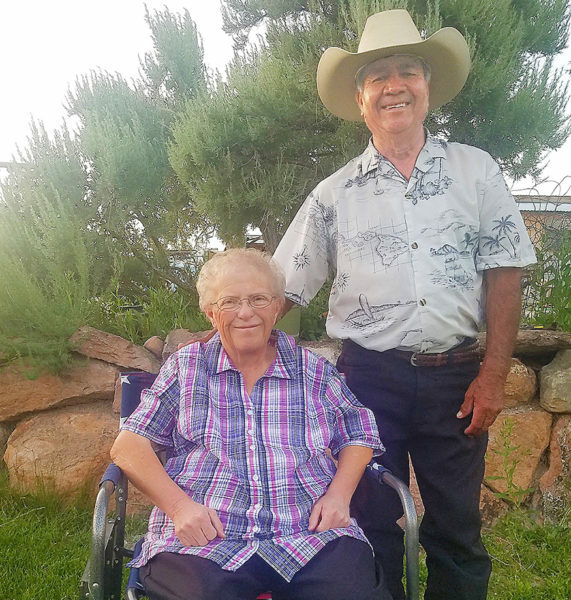 While none of their children or grandchildren has been able to stay in Sanpete County with their family, the couple believes they are passing along the values they learned growing up. Those include the ability to work hard, to give back to the community and to be good people. The Fourth of July celebration “is a good reminder of all of it, to reflect back on the principles of freedom and democracy we were taught and those we know,” he said. Mark Johansen was raised in Mt. Pleasant. His father was the Moroni Feed Company general manager. Mark grew up working on the family farm which has been in the family for a number of generations. He loved working with his father. He attended Mt. Pleasant Elementary while Sue, who grew up in Moroni, attended Moroni Elementary. Both attended North Sanpete Jr. High and North Sanpete High School, where Mark was on the basketball team and Sue was a cheerleader. The two began dating at the end of Sue’s junior year. 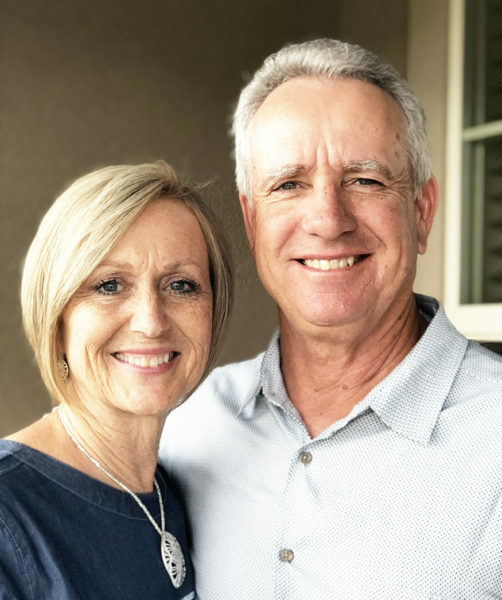 They moved away for a short time when they were first married to attend what was then Utah Technical College, where Mark studied appliance repair and Sue was enrolled in the secretarial program. In those early years Mark worked for a Wasatch Front appliance business. They lived in Murray and Orem but It didn’t take them long to realize they wanted to return to Sanpete and raise their family here. They moved back to Moroni for a couple of years and Mark started Minuteman Service, a refrigeration and appliance repair business. In 1980 they moved to Mt. Pleasant. After about five years in business, Mark realized his true love was farming. So he and Sue decided to raise turkeys and cattle on the family farm and they continue farming today. Sue worked for 19 years for Mt. Pleasant City as the accounts payable clerk and loved her time there and the people she worked with. She is currently the secretary for the Twin Creek Irrigation Company and a member of the DUP Pleasant Creek Camp. She has served in several callings in the LDS Church and is currently a stake relief society president. The Johansens have four children, Ryan (Sheila), Stacey (Cameron) Willardson, Kyle (Krachelle) and Tyler (Sadee). They enjoy their 11 grandsons (four of whom were born eight years ago) and three granddaughters. Their children and grandchildren love to spend time in Mt. Pleasant and help at the farm whenever they can. Mark has served as a bishop and stake president and in other positions in the church. He also served for several years on the Moroni Feed Company board and has been very involved in the community over the years. They love this valley and the people here, they both said. Their greatest accomplishment is their family and they are very proud of them. They love spending time with them watching ball games, camping and enjoying the mountains, fishing, working on the farm and playing cards and board games. They were both surprised to be chosen as grand marshals this year. “We just think there are so many other people who are more worthy of the honor,” Sue said. FAIRVIEW—In late May, when an official of the Cottonwood-Gooseberry Irrigation Co., the company that supplies secondary irrigation water in Fairview, warned residents that irrigation water was probably going to run out this summer and they should get used to brown lawns, the water situation in the town looked dreary. Then things went from bad to worse. A pump that draws water out of the so-called Sammy Well, which provides extra culinary water that residents draw on in summer to supplement irrigation water, broke down. That failure has forced residents to get serious about ceasing to water their lawns, and in some cases their vegetable gardens, trees and shrubs. And it has left city officials scrambling for both an immediate and long-term fix for water problems. As soon as the Sammy Well shut down, the city posted messages on its Facebook page and signs around town asking people to stop watering their lawns. Then it posted a graphic on the Facebook page showing total water consumption. Based on the graphic, people complied with the city’s request. “Our arrow has moved from ‘danger’ back to green,” Mayor Dave Taylor said in an interview on Friday, June 22. Voluntary restrictions are still in place, and lawns all around town are going from green to brown. On Thursday, June 21, the Fairview City Council voted to buy a new pump for $13,000 and to bring special crews in to install it, which, according to Taylor, will cost $30,000 to $40,000. With luck, the job should be completed in three weeks. But neither the mayor, nor the city council, nor the city water master, nor the city’s consulting engineers expect the new pump to last a long time. For various reasons, the Sammy Well has never functioned very well. Since it was drilled in 2001, the city has pulled the pump out six times and spent $67,000 on repairs. It now appears that unusual water chemistry inside the well is corroding well components including the pump. Nonetheless, the city council decided it had to act. “All this is a band aid to get us through right now,” Councilman Mike Jensen added. the water down the canyon into town. The second source is the so-called Lower Well, also in Fairview Canyon off Canyon Road. The city draws on both of those sources to meet everyday culinary water demand. The Sammy Well (it got its name from the name of a farmer who owns land nearby) is in the southeast corner of town. In the wintertime, it is seldom used. But in summer, when indoor water use is typically higher than in winter, and when people hook up hoses to hose bibs on their houses to supplement secondary irrigation water, the Sammy Well, starts pumping. gallons per minute. At that point, it was clear the pump was failing, and the city water superintendent intentionally shut it down. Aside from summer needs, the Sammy well plays an important backup role. If something happened to the pipeline carrying spring water, such as a water main break like Ephraim just experienced, or if the Lower Well shut down for some reason, the city would need the Sammy Well to meet basic water demand. “If we lost the Lower Well (while the Sammy Well was shut down), we’d be in dire condition,” Taylor said. About June 15, the city called in a consulting hydrologist with a high density digital camera. “We cameraed all 386 feet” of the Sammy Well, Taylor said. The pictures gave city staff and consulting engineers a better picture than they’ve had over the past 17 years of some atypical things that might be going on in the well. There is a stainless steel mesh, designed as a filter, that goes around the circumference of the casing in certain vertical areas of the well. Holes are developing in the mesh. There is a gravel lining outside of the casing. It appears rocks from the gravel are getting through the holes, dropping into the pump and damaging it. Just before the city council meeting, the city received a report from Horrocks Engineers of Pleasant Grove, a water engineering firm. A chart in the report offered various options, ranging from “do nothing” to development of more canyon springs. The price tags on the options ranged from $40,000-$75,000 for “minimum repairs,” the option the council essentially chose; to as much as $1.2 million for a new well; to possibly $2.5 million for new springs development. MORONI—This year’s grand marshals for the Fourth of July festivities in Moroni are Mel and Glenna Frutos. Mel originally came to the U.S. from Kalera, Mexico in 1972 and worked in Payson for a couple of years before moving to Moroni to work at the turkey processing plant. He worked there for about four years before becoming a coal miner at Deer Creek Coal Mine. He retired from the coal mine six years ago, after 31 years on the job. He would like to work toward U.S. citizenship as he has built his life and family here, Mel said. He loves the United States and unlike his home town, there is a lot of opportunity and people are not generally hungry here. After close to 50 years as a U.S. resident, “It really is about time,” he said. 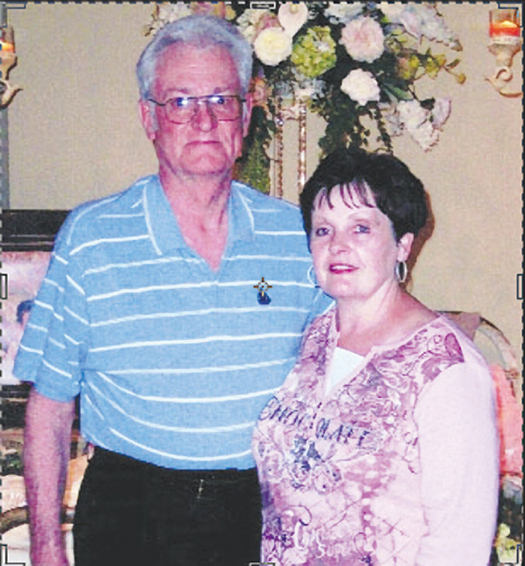 Mel met his wife Glenna Stephenson at the turkey processing plant, where she also worked. Glenna is a Moroni native and North Sanpete High School graduate. Her mother Glenna Nunly was also born and grew up here. Glenna, who is very shy, said Mel tried talking to her at work, but at first she ignored him. However, he was persistent, and eventually about six months later she agreed to go out with him. The relationship progressed and the two were married in January 1975. After about four years at the turkey processing plant, Glenna left to stay home and raise their three children Dustin, Amanda and Miguel. The couple later fostered and adopted two sons Shelby and Kayden, who were being removed from their birth parents by the state. Mel and Glenna have nine grandchildren, two girls and seven boys. The Fourth of July is a special time to Glenna, whose father DeVon V. Stephenson served in the U.S. Army in the 864th Engineers Division during World War II from 1943 to 1945 and was due to be called to serve at Pearl Harbor when the war ended. He passed away in 2007 with his family at his side and was buried with military honors in the Moroni Cemetery. On Independence Day, Glenna remembers him and the many others who have served their country, she said. Mel enjoys the holiday as a way to celebrate his adopted homeland and the many freedoms he is blessed with here. “It’s a big day,” he said. Melissa Olson, who is married to their nephew J.D., said the Frutoses were the first people to welcome her to the family. “Anyone is family to them,” she said. “They are just down-to-earth, sweet people,” she said. Their door is always open and their home is always filled with people who love to be around them, she added. Mayor Paul Bailey said Mel has helped with several community service projects to beautify the city. “If I asked him to help again, I know he would,” Bailey said. Mel is known around town as one of the first people to jump in to help with any endeavor when it is needed. “Mel is one of most hardworking men I’ve ever met in my life,” Olson said. Even though Glenna is a little nervous because of her natural shyness, the Frutoses said they are honored and happy to have been chosen as this year’s grand marshals. The two-day festival begins at 2:30 p.m. tomorrow with the Dutch oven cook-off at the park (150 S. State). Contact is Carol Jensen at 851-4599. Afternoon activities include DUP bake sale at 3 p.m. and Jr. Strongman registration at 4 p.m. and competition at 4:30 p.m., with evening events of town raffle and Dutch oven judging beginning at 6:30 p.m. followed at 7 p.m. by the potluck dinner (meat provided, Dutch oven cook-off items included) so bring chairs and a dish to share. Live entertainment is from 8:30-11 p.m.
Saturday’s Fun Run registration at the park begins at 6:30 a.m. Contact is Lora Roberts at 469-1894. Half-mile fun run for children is at 7 a.m.; 5K Fun Run at 7:15 a.m. Flag ceremony is at 7:45 a.m. followed at 8 a.m. with Strongman registration and city breakfast in the park. A horseshoe tournament is at 9 a.m., with the Mammoth Parade at 10 a.m. Contact is Liz Brotherson at 469-0165. 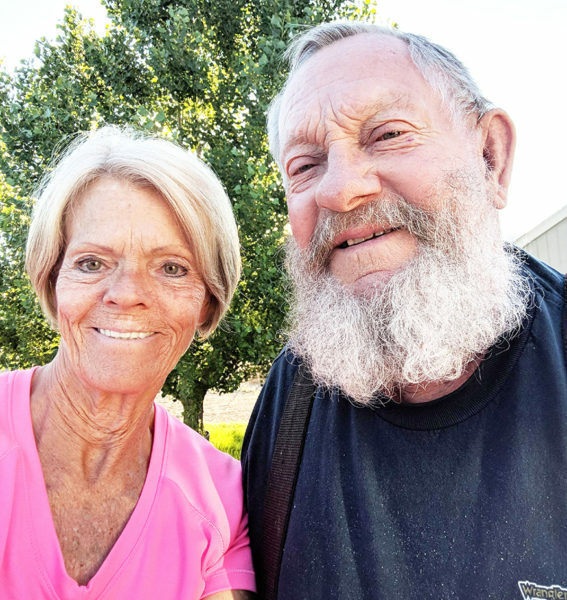 Grand Marshals John and Wendy Taylor will lead the Mammoth Parade on Saturday morning at 10 a.m. (Organizers say they are happy to welcome last-minute entries. Just line up at 9:30 a.m. on Saturday). Tickets for the traditional town raffle (which funds Welsh Days) are $1 each or six for $5. The raffle includes many prizes but the most coveted is the quilt made each year by Connie Lamb and the Quiltkeepers Quilt Guild. 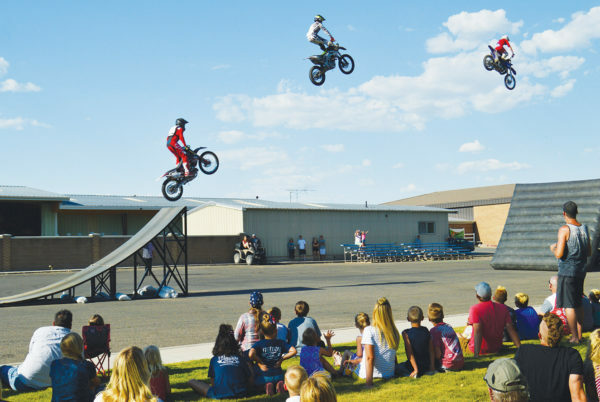 Last year’s Gunnison City Fourth of July celebration had high-flying motocross riders. The same group returns this year on Tuesday, July 3 from 5:30-6:30 p.m.
Four cities will hold major town celebrations next week connected with the Fourth of July. Events range from concerts to a children’s fashion show to an exhibition of “ugly” and restored tractors. And in all four towns, there will be parades and fireworks. Following are some of the highlights. For full schedules, see individual community ads scattered throughout the newspaper. Gunnison starts its celebration on Tuesday, July 3 with a community picnic at the city park from 5-10 p.m. Vendors will set up booths where residents can buy a variety of food items. Other activities at the park that evening include a group of motorcycle riders known as the Team FMX Motorcycle Show. They will perform at 5:30, 6 and 6:30 p.m.
On Wednesday, July 4, a flag-raising ceremony and breakfast will be held at the park from 6:30-8:30 a.m. The parade travels along Main Street from 9-10 a.m. The Lion’s Club lunch, games and awards for community service will be presented in the afternoon, also at the city park. “Land That I Love” is this July Fourth theme this year in Manti. The opening event is the Miss Independence Day competition Saturday at 7 p.m. in the Eva Beal Auditorium in the Manti City Building. The Independence Day royalty will reign over the rest of the celebration. On Wednesday, July 4, townspeople are invited to gather at 6 a.m. at the American Legion Hall, 173 S. Main, for the ringing of the freedom bell. The American Legion will sponsor a breakfast from 7-10 a.m. at the Manti City Park at 200 West and 200 North. A patriotic program and flag ceremony will be held at the park at 10 a.m. The speaker is Alan Braithwaite, who, with his wife Cecelia, is grand marshal of this year’s celebration. At 10 a.m., you can also sign up for the children’s fashion show. The show will start at 10:30 a.m. on the stage in the park. An entertainment and talent show will run from 11 a.m.-3 p.m. at the park. To sign up, contact Kaylie Bailey at 851-3945 or Trisha Hyde at 851-6299. Games begin at 11 a.m. at the park and continue into the afternoon. They including foot races, a three-legged race, a potato-sack race, a tug of war and a greased pole climb, among others. At 6:30 p.m. a parade lines up at the Red Church, 295 S. Main, beginning at 7 p.m. and then travels north up Main Street. To participate, contact Fawn Miller at 851-6294. At 8 p.m., there will be entertainment, followed by fireworks, at the Manti High School Stadium. Moroni kicks off its celebration this weekend with the Turkey Slam Co-ed Softball Tournament at the Center Street ball park. Teams of up to 14 players may enter at a fee of $225 per team. Contact Heidi Roper at (208) 227-3140 for information. On Monday July 2, there will be a volleyball tournament and a four-on-four basketball tournament for kids, also at the ball park. The celebration picks up momentum the evening of Tuesday, July 3 with the Cool Car Show from 5-8 p.m. at the city hall park, 80 S. 200 West, and a barbeque turkey dinner from 5:30-7:30 p.m.
From 7 a.m.-9 a.m. on Wednesday, July 4, the Firemen’s Breakfast will be held in the city hall park pavilion, with a flag ceremony at 8 a.m.
At 9:45 a.m., the annual airplane ping-pong ball drop will occur on Main Street. Some of the balls contain numbers that can be redeemed for prizes. The Mammoth Parade down Main Street starts at 10 a.m. To enter, contact Jennifer Lamb at 469-1538 or email recorder@cut.net. A carnival will be held from 10:45 a.m.-2 p.m. at Center Street ball park. Games, activities, prizes and turkey sandwiches will be available. The pre-fireworks show starts at 7:30 p.m. at the Center Street ball park featuring J.D. Fox, Mid-Utah Radio personality and a Moroni resident. Fireworks start going off at 10 p.m.
Hub City Days, Mt. Pleasant’s annual town celebration, actually started the weekend of June 22-23 with a golf tournament at Skyline Mountain Resort. The celebration picks up Friday night and Saturday with the Skyline Freedom Fest Eventing show at the Cleone Peterson Eccles Equestrian Center, 1000 S. 955 West. The show features horse jumping and dressage events. Admission is free. On Saturday, a carnival, featuring rides, vendors, food and crafts, opens at the city park, 1000 S. State St. The carnival continues Monday through Wednesday, July 2-4. On Monday, July 2 a “family fun night” will be held at the Mt. Pleasant rodeo arena east of city park. Activities include barrel racing, a stick-horse race, a calf-ribbon pull, hide races, a dog race and musical tires. Sign-ups are at 5 p.m., and activities begin at 7 p.m. The annual Hub City Rodeo will be held Tuesday, July 3 and on Wednesday, July 4 with mutton bustin’ at 7 p.m. and the rodeo at 8 p.m. The rodeo is presented by Circle J Rodeo Co. and affiliated with the Rocky Mountain Professional Rodeo Association. You can purchase tickets at www.hubcityrodeo.com. The biggest day in the Hub City Days celebration will be Wednesday, July 4. 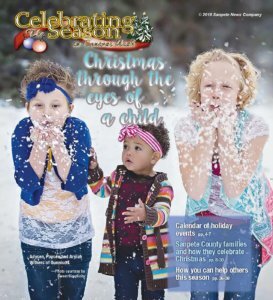 Events include a fun run at 6:30 p.m., breakfast in the city park at 7 a.m., a children’s parade along State Street at 11 a.m., and right after the children’s parade, the Mammoth Parade, which will travel down State Street and continue west on Main Street. To enter either parade, contact Coleen Oltrogge at 462-3034. A contest featuring new, restored and “ugly” tractors begins at noon at the city baseball field. Oltrogge is also the contact for that event. Afternoon activities include free wagon rides at the park from 1-3 p.m., and at 2 p.m., the pie and cake baking contest by the city park stage. The Mountain Man Dutch Oven Cook-off begins at 3:30 p.m. To enter, call Pat Gonzalez at (801) 367-9849. Cook-off judging is at 5:30 p.m., and food from the cook-off goes on sale at 6 p.m. at $5 per plate. Fireworks begin at dusk (about 10 p.m.) east of the city park.